There is very little known about when someone first attempt to make glass however it was believed to have been in Egypt around 4000 years ago. Historians tell of a Phoenician Sailor who reached a beach near Israel and set up to cook a meal. He propped a cooking pot on some blocks of ‘natron’ (a naturally occurring alkali substance) they had on board as cargo, and cooked the meal over an open fire. Later realizing the beach sand under the fire had ran into a liquid stream and cooled and hardened into glass. Pretty amazing hey !... As idealistic as this story sounds it has been thought as an untrue encounter. Some say the sand from the beach they reference would be too hard for glass making and the fire simply not hot enough. So how was glass first created.?? It is now thought that longer periods of experimenting with silica sand, quartz pebbles and an alkali is more likely. Possibly those that worked with ceramics and metal work were inspired to create glass. No one knows exactly how but we are thankful to have this unique substance we know and use today ‘glass’. Enameled glasses appeared in the second half of the 15th century and performed as footed flasks and low beakers. The earliest ‘goblet’ representation shows influence from the Italian Renaissance, with rich coloured tones. In the 16th century Venice export trade was an extraordinary achievement with clear colorless glass being manufactured and referred to as ‘cristallo’ due to its natural crystal look. Opaque white glass threads were created soon after and used for decorating the glass. This was popular however this process then became complex. The threading became embedded into the clear glass used to build the wall of the vessel and soon became a lacy white pattern completely covering the exterior. Other decorative options came along changing the ‘cristallo’ look, things like dipping the glass in water while hot, rolling it against glass fragments to products a crackled surface and engraving with a diamond point - still popular today. Glass was now very prevalent and the workers were sworn to secrecy, they were not to leave Venice nor teach their trade to others. Close by in the town of Altare near Genoa very similar glass was being created and unlike Venice they were encouraged to teach their methods and established glass making houses throughout Europe in France, Spain, Portugal and Germany. Their glass was so alike to the Venetian style that nowadays it is impossible to tell the difference. Although a likeness among glasses of the façon de Venise, certain countries created their own styles worthy of mention, Spain were not only skilled however also created unique shapes in green glass, followed by Barcelona’s king of enamelled decorations of green and gold. Diamond point engraving occurred in the Netherlands at this time however it was simple and stiff, it wasn’t until two sisters Anna Roemers Visscher and Anna Maria Van Schurman offered Latin and Greek scratching’s, almost calligraphy and decorative flowers and insects on glassware with such precision that this effect was likened by many. As we reach the 17th century a classic German shape of wine glass is created and known as Krautstrucnk or Cabbage Stalk and surprisingly it survived the 18th centurary and with modifications is still used in present day. I personally would like to see a modern version as I am not to keen on the look of the original. In the later half of the 18th century engraving took a slide and technical skill of enameblling was practiced. Cylinder Drinking Glasses in bright opaque colours was favoured. 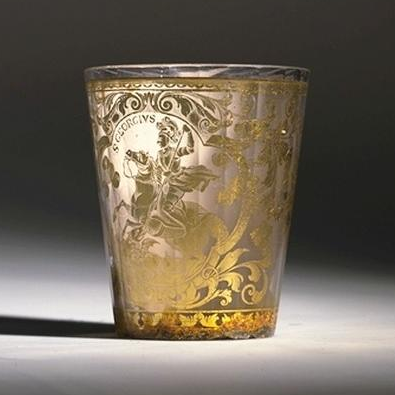 A Bohemia technique rose in the late18th century known as the ‘gold sandwich glasses’ or Zwischengoldglaser often beakers or two layers of glass fitting one over the other created into a goblet. This is a familiar look of something I recall us having in our wine cabinet when I was small and I really like the style. I am sure for some even now in present day this would be a style they would favour. By the 19th century American pressed glass was an influence towards finer glassware. Fire polishing was used to give a surface of blown glass and designs became more complexed. The New England Glass Company was an employer of many European craftsman, using this pressed glass process, they were producing a wide variety of decorative pieces and later became Libbey Glass Company we still know of today. Cut glass is characterized by a series of facets produced by cutting, this design offers great brilliance and reflecting power. Whilst developed in Germany in the 17th century – the pressed glass method introduced in the 19th century offered a cut glass look in appearance at a lower cost. 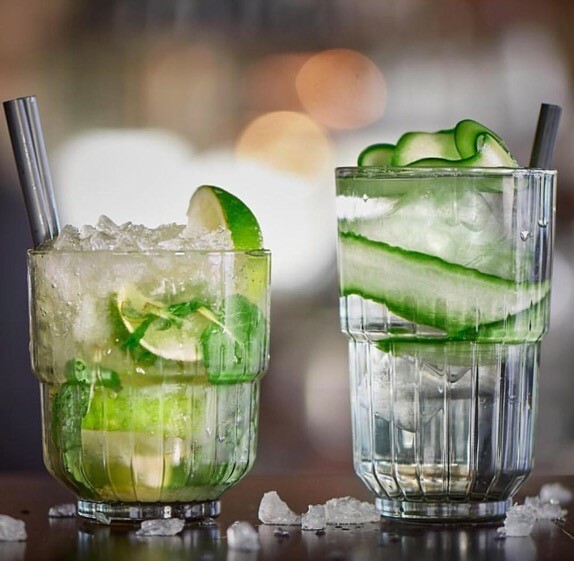 Therefore setting a decline for demand of cut glassware. So here we are in modern day and where are we now with glassware manufacturing. If you search it on Wikipedia you are advised that there are two main methods Float Glass which is a process that produces sheet glass or Glass Blowing that produces bottles and other containers. So what is actually entailed in Glass Blowing I know it sounds obvious but it is truly an art. Yes you form a bubble by inflating glass but what happens then, well it’s a chemical reaction that allows the molten glass to gradually harden as it loses heat. There are two forms known as free-blowing and mold blowing. Free blowing is still used today particularly in artistic creations. Mold blowing has certainly modernized today to allow fast production of glass objects worldwide. In saying that where would be today without the production of glass. We honestly use glass continually every day, even more so with today’s environmental concerns and the removal of plastics in the home, glass is nontoxic and transparent and simply and easy solution. Here in Australia we have been making glass since the late 19th century mainly for brewers, winemakers, and preserving jars for companies like IXL Jam Factory. By the 1920’s Australian Glass Manufacturers had glassmaking in Sydney producing crystal cut, pressed, and blown glass even household pyrex. The glass that we produce and import to use here in Australia is impressive. To those back in the 17th century and beyond I am sure it is almost space age some of the funky styles of glassware used today. 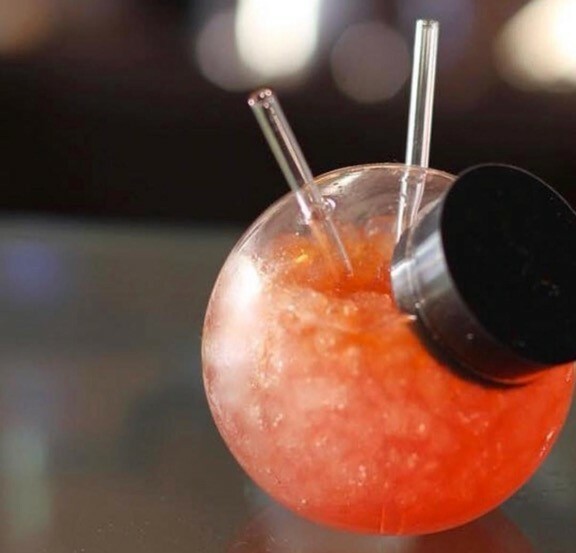 A newly released range for Hospitality Products is the Jakobsen range, if you are yet to experience this glassware you should check it out (link below). The range is impressive and full of personality and a glass suitable to everyones taste or requirements. My favourite the Lark and the Fugu. 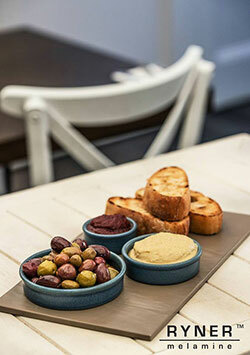 Pictured here Quido certainly one of the most popular choices. Glassware today in the modern world really is an expression and an experience. No longer is it simply a vessel to hydrate from.